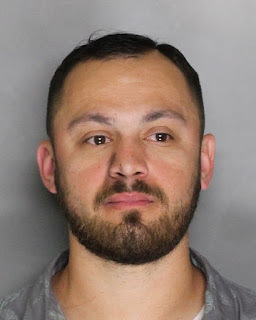 A Sacramento man was arrested by Elk Grove Police after allegedly assaulting his victim with a knife at an Elk Grove bar. According to police reports, (pictured above), 30 was involved in an argument at the Tilted Mash Brewery on Union Park Drive when he threw a glass at the victim. When walked away, the victim followed him, at which point pulled out a knife, advanced towards the victim and held the knife against the victim's body. Bystanders were able to separate both until police officers arrived. was arrested for assault with a deadly weapon and booked into the county jail.